A general purpose growing media suitable for most plants, fruit and vegetables, also seeds & cuttings. Vitax Ltd is committed to sustaining and enhancing the environment and it's resources. As part of this commitment, a complete range of growing media, including Reduced Peat and Peat-Free is produced. Reduction of peat content is an ongoing process which is intended to lead to the total replacement of peat in growing media. Vitax does not extract peat from sites of recognised ecological, archaeological or other conservation value. 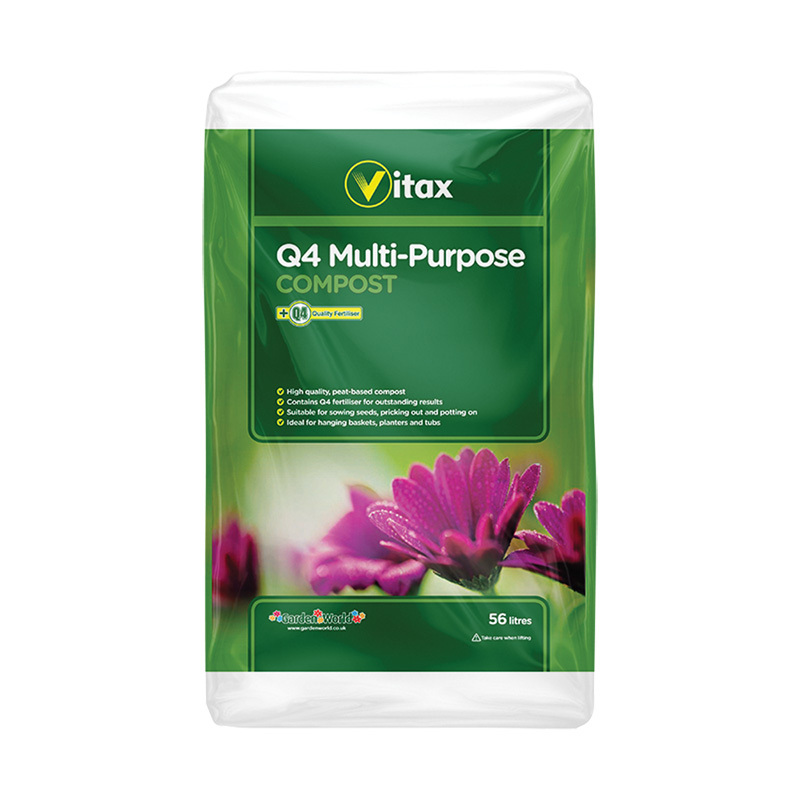 If you would like further information about Vitax Q4 Multi Purpose Compost, please contact our garden centre at Shawbury just outside Shrewsbury in Shropshire, by calling 01939 251315 or emailing.